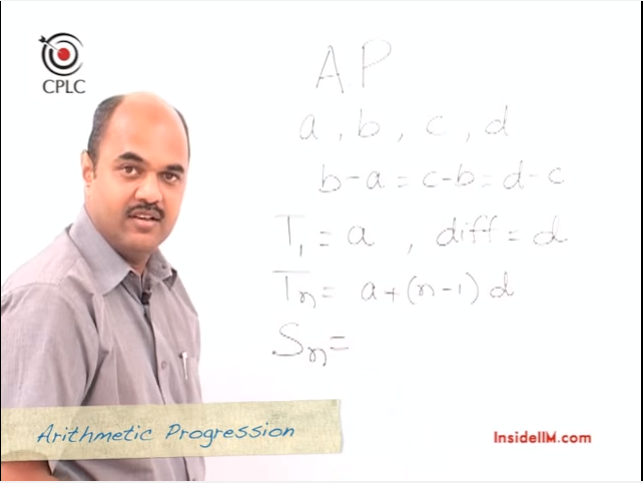 Prof.Chitale looks at basics of Progressions below and also tells us something about infinitely diminishing series. Over the years, this topic has been quite popular with those setting the questions for the Common Admission Test. Our only request to you is to please share it with as many people as possible out there. There are thousands of students who do not have the privilege or ability to join expensive coaching. Our mission is to make it a level playing field. Please ensure every needy student gets access to this.